Noel Gallagher premieres "Do The Damage"
Ride officially reforms & announces tour! It's official: RIDE has reformed! Ever since the band broke up in 1996 fans have been desperate for a reunion. It all seemed like a longshot until recently, when Mark Gardener mentioned in an interview that he'd be up for a reunion. 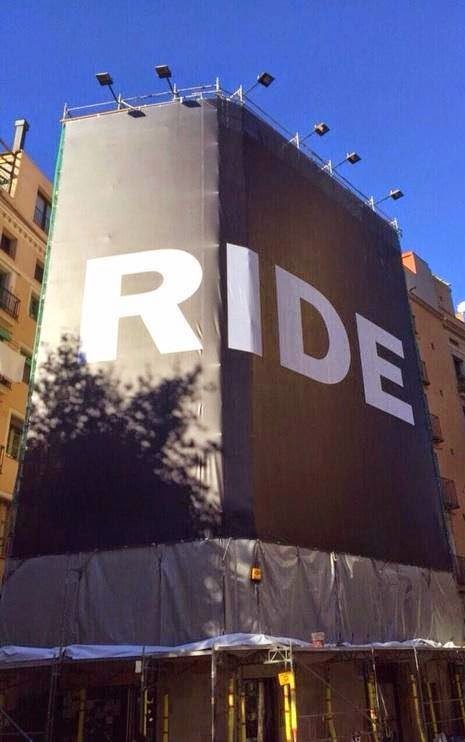 Since then rumors of a reunion had been bubbling, but it all intensified yesterday after Creation Records posted a photo of a massive Ride poster, which draped a building in Barcelona (Barcelona being the location of the Primavera Sound festival). Andy Bell: "It's going to be really cool. As we were all still friends, we always thought when the time was right we'd do it. And now the time is right." Mark Gardener: "People bought our records first time round but our music has grown in significance since we've been away... We want to give the people what they want. We'd be idiots to go out and play a new album, but that's not to say we wouldn't make new music." So far nine tour dates have been announced, including North American shows in New York and Toronto. The full tour schedule is posted below via NME. Let's hope even more dates are on the way! Viva Ride! FYI: All of Ride's recorded material is also available to stream on You Tube -- stream playlists here or if you don't know where to begin, start with some of the classic tracks below.